So the event could happen this year. I really hope that there will be enough Prepareforchange groups!!! But my guess is that this wont happen on the first oppurtunity. In my opinion, this is one of the biggest achievements of the light forces! The amount of negative influence that the incarnated humans suffered from the astral plane was HUGE. Many criminals that committed horrible things were being influenced by lower astral plane beings (demonic possession is this). And not only crimes, the low astral entities were responsible for much more, even for the degeneration of music, influencing men and women to create senseless songs, instigating violence, uncontrolled sexuality, drugs and etc. I would like to apologize for being so hard in my previous posts. 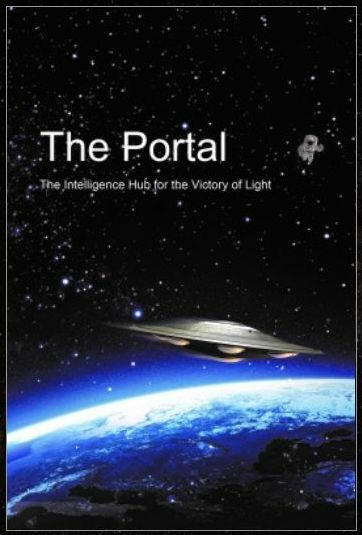 Is that, because of what the brother "Lightworker 77" said, it was appearing that the light forces had "abandoned" the offensive in the astral plane, just because we don't have 144.000 meditators. That is why is very important to be careful with what you say. I was angry, because I’m pretty sure that it does not matter if we have 144.000 meditators or not, we are ALL working hard to create a better world (at least the ones that read this blog). I, myself, have been working since 2005, in the awakening of the masses. It was a tough path, but with the help of my mentors and god, I was able to do a lot of progress. I'm no better nor worse than anyone, but I was blessed with many spiritual truths (at least truths for me), and my path allowed me to share those truths with some people. Is the second Window of Opportunity, the last Window of Opportunity? Thanks. WOW! This is huge news and progress! 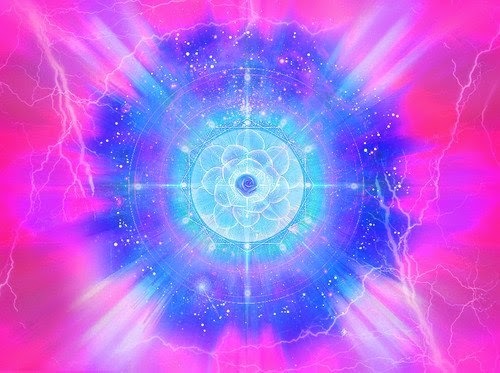 Lightworkers / Lightwarriors let's unite we can do this :) Thanks Cobra. What a disappointment. As the time for The Event keeps receding into the near future, the less likely it is to happen at all. At least this is the rule in 3D Reality. 2012 has become 2013 and is now 2014? Either Humanity is being treated like a 2-year old child, or The Event is a sham. Which is it? Perhaps it is us, the way we perceive things. Maybe we are not determined enough, or we are frightened by the very idea of change. How many times in the past few years have you doubted our ability to make change? How often when someone posts something that has good news and not so good news, have we focused on the not so good, while failing to recognize or appreciate the good news. When we hear things like the power may be out for a few weeks do you become nervous that we won't be able to survive the conditions? When we hear them say that the financial industry may be shut down, do we think that without our money (no matter how little that might be) we will starve? How often do we fear that our neighbors and friends who are failing to hear the message, may get caught up in the chaos and do harm? How much time to we spend on ourselves, working through our ego issues? Perhaps it is time to go with the flow of the river, let the tide gently take us out to sea. Meditate, or write, or listen to music, and try to not get our hopes up, so our disappointment is less. 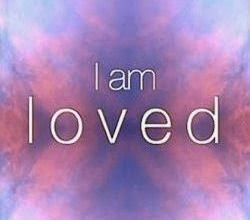 Because the only one who can have an affect on our ego, our beliefs is us, individually. No one else is responsible for that. Once we are able to recreate ourself, we will be able to recreate the world. The fault IS NOT ours, dear brother. It was in the past (due to the primitive behavior of humanity) but it is not now. All light workers and light warriors are working hard to create changes, but the situation is much tougher than it looks. The dark ones manipulated our DNA, they hypnotized our minds through television, they created fear-based believe system though the TV-news, they suppressed our spirituality with religions, they poisoned our water/food, they stimulated our violent behavior against nature and ourselves and much more. We had no chance to deal with this, in other words, because we didn’t even know why it all was happening. In these circumstances, ANY OTHER RACE WOULD HAVE FALLEN IN THE SAME TRAP AS WE DID!!!!!! 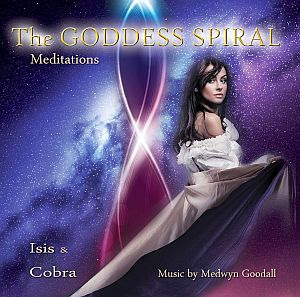 Cobra is a pleiadian reincarnated, and he, himself had hard times in his life on earth. It is like a master in psychology manipulating a 10 years old child, the child would do stupid things, but it's not ENTIRELY its fault. Now that many, many people know that we have been manipulated, they are fighting back and creating positive changes. Let’s keep up the hard work, but let’s not blame ourselves for failures. It’s not easy to live in the planet earth. Let’s not blame anyone, brother, just keep working. What is time anyway. Life unfolds as it will. We will follow along. 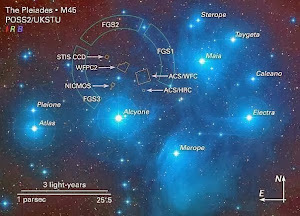 this will prepare the ground by informing the surface population of the basics of ascension so that setting up ESGs will be easier. Thank you for this update necessary. We are ready to form the groups. We expect contact. it's not that people are being "negative", but for most people/humans, what we want is simply more solid, real proof of all this "Event" things. Otherwise, how can you expect for most people/humans on this planet to give up their security (which is getting much more difficult, realistically & financially nowadays), if they don't really have any idea about all this stuff and if it's real or not? Most people need to be shown concrete things. Most of them are not too fond for the 'abstract, vague' ideas only. Just sharing my realistic thoughts. thank you. If the negative entities are cleared from the lower astral, WHY are the channellers still at it unabated? Help me out with this one as I am baffled. Thank you. Thanks for that, I had thought the interference was coming from the lower astral. Namaste. I'm ready to do what I can, where I am, on vacation or when I'm back home...but you know, the more time passes and the Shift in all of us gradually takes place, the more all of this "fear and worry" about being "ready" makes no sense. I listen to the folks that speak thru Blossom Goodchild and I FEEL that when the Event happens, we will all be orders of magnitude more ONE, more joyous and full of love...and we won't need plans or organizations because we'll all just KNOW what to do, instinctively. Helping will be automatic, and there will be too much joy and excitement for anyone to be afraid for long. It'll be right on the night, as those who go on stage say. No worries!! which is why in my opinion I've always stated that in order for MOST people on the planet to truly "Wake Up" , then "The Event" has to happen FIRST! and THEN afterwards, most people on the planet would start to really got PROVEN that this is all really *REAL* and not just some made-up fantasy/imagination/wishful-thinking only. and from there, I strongly believe, we will then start to see the REAL Changes everywhere *automatically* , and reallyy fast & simultaneously everywhere, just like you've said! What you guys are saying makes a lot of sense. 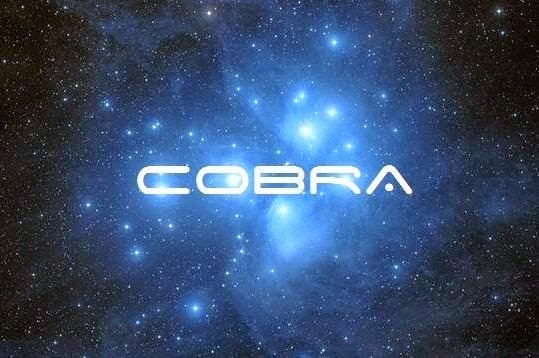 I also have no idea why Cobra is so obsessed with having so many more people awake so 'the event' he talks about can happen.All that is needed is for the necessary safety nets to be properly set,and all players in their proper spots and ready to go.This network would me made up of the people that already awake. Because lets face it..we are a hopelessly brainwashed society as a whole.People are indoctrinated to never accept anything as reality unless the government,media,public education system,scientific community etc TELLS THEM SO.I myself have tried for several years to wake my family/friends up to the existence of the NWO.The majority of times it's to no avail. 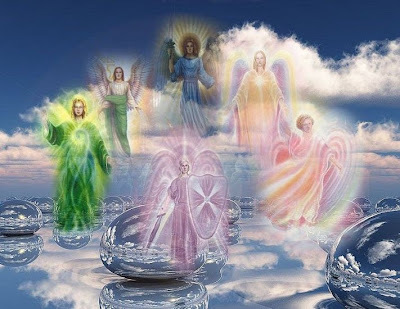 Considering that all these informational venues are owned by the cabal;it is actually pretty insulting and insensitive for these so called benevolent aliens and ascended masters,to think humanity as a whole will ever be able to free it's mind from this matrix by itself. Trying to tell people the truth in the current one sided biased climate is akin to tring to plug a badly leaking dam with chewing gum.Pretty much wasted effort.If you care about the people that are sick and dying nearly as much as you claim coomon sense dictates you should attempt to do something about it then playing this endless waiting. You're actually making things worse instead of better the longer you drag this on.People are getting so tired of false channelings,no shows,disinformation,and delays that your movement actually seems to be LOOSING support rather than gaining it. Compare the enthusiasm and high number of posters on your blog 1-1.5 yrs ago as opposed to today Cobra.How could you possibly think you are gaining more support over time rather than making things worse? Actions speak louder than words...We have to show how its done..By BEING THE EXAMPLE...Its just like with kids...You can talk/preach until your face turns bleu...They learn from your actions...How you live your live...Then they will start questiong you...and then you have an opening to shut some more Light in the Darkness...Do you feel what I mean :-)? I AM looking forward to tomorrow morning...and the News I have to Share then. To be waiting, and judging the beings that are dedicating all their time to help liberate the planet, telling them they are a 'disappointment', is of no use, it's just slowing things down. Take matters in your own hands. Go out and do whatever you feel helps. Do energy work. Do gridwork, go to different places, important energy points, and call in the light. Talk to people, make loving connections with them. You have the power, you just gotta use it. It doesn't require any proof about the event or anything. You know the situation on this planet. You know there are ways you can help. @Hahnemaniac, you are ready, you know. 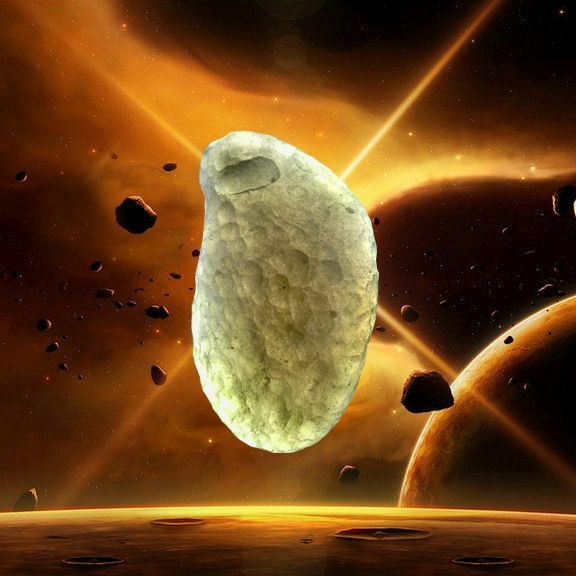 But most ordinary people think that only the solid is real, that there is no life except on Earth, that death is the end of everything, that they are here to bring up a family and earn a decent pension, that the news is true, religion is to authentic word of God and that those in power are acting in the best interests of humanity. All those beliefs, all that they felt to be true, their world, will suddenly be challenged or collapsing apparently without warning and without their consent. I think this could cause bewilderment, fear, being overwhelmed, even denial and may not be welcomed initially. We need to figure out how best to support them through this with some kind of an organised approach and keeping explainations simple and relevant, I think. Cobra, at least tell us the percentage of necessary event-support groups that exists now, being 100% the needed number for the event to start. For example: We are with 65% of the needed groups already formed. It will help us to work harder if needed and will increase the possibility to trigger the event in the window of opportunity of this year. it will take longer for the site to be organized than it will to form groups. I sent in an application at least a month ago and have not been contacted yet. I know there are many more out there who have not been contacted either. But I do not suspect there are many people receiving those contacts, organizing the applications, and then reaching back out to them to organize the groups. It will take time, but i think if the Event happens within Window #1 we can learn on the fly. I actually would enjoy that more than a gentle transition. Get people excited about this. Especially as over the next couple of weeks/months more hemisphere implants will be free of negative forces, and will be less reluctant to go with change. Truth is starting to illuminate my friends. Steady progression is key. 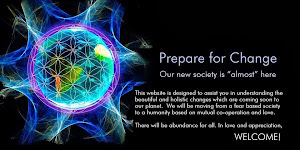 Hi Colby and Gui and anyone else out there who hasn't heard back from the prepareforchange website yet..
2- At top of page, there is a tab, Click on the FILES link and then scroll down then click on YOUR COUNTRY and get started. There Will be others from your country on that page, you can start networking and meetups. Cobra, will there be any changes/announcements about the financial system before "The Event"? I understand the changes are underway with the BRICs alliance and Iraq being lifted from Chapter 7 and the U.N. voting for Basel 111. I guess I am asking as a college student who just took out a loan for school and seeing as clear as day the absurdity that the Federal Government can charge 6.8% interest on a loan when they're 16 trillion in debt. Also am asking as a human who parents are struggling financially and are cut off from the light that seeing money shouldn't define value. I know this applies to a collective nature. Thank You. 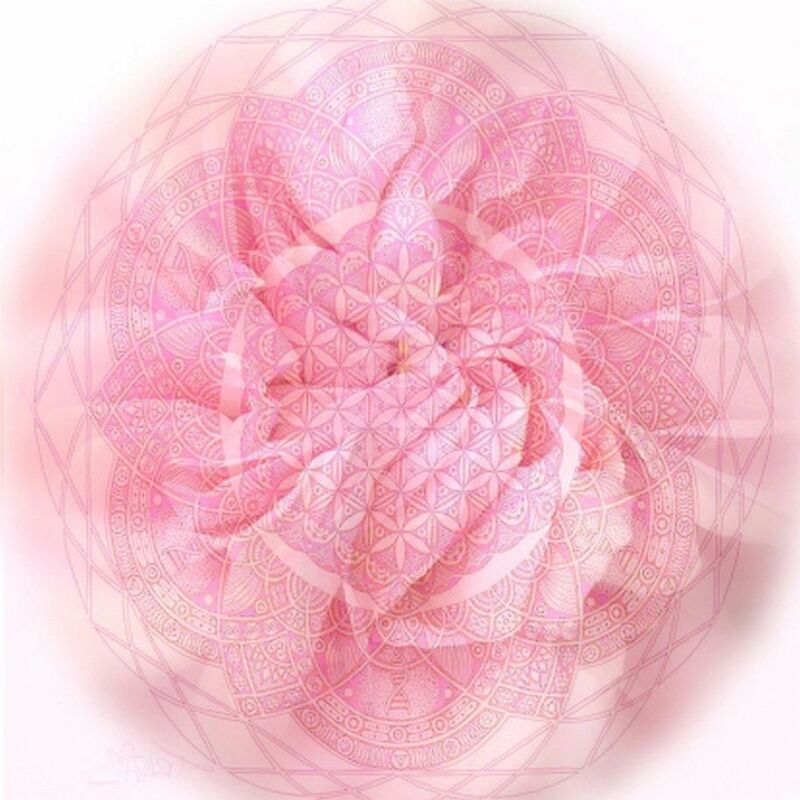 "ALL negative entities from the lower mental and lower astral planes have been removed. The only remaining negative non-physical entities are now hiding within the implant hemispheres on the etheric plane. 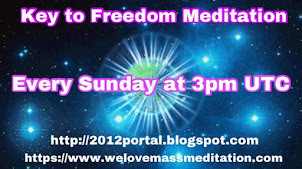 The WORLDWIDE MEDITATIONS are working. NO more proof needed as to how powerful NUMBERS (there is STRENGTH in numbers. 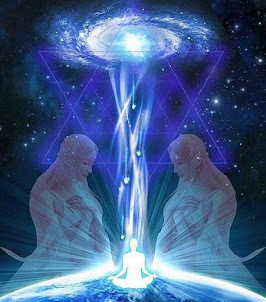 Our next step is to take things to the next level as Lightworker (which means everyone reading this blog, and get organized. Why would Heaven authorize the EVENT to take place when WE are not ready as Lightworkers to facilitate so much information filtering into the public. We are the ones who signed up for this job BEFORE THIS LIFETIME BEGAN. I agrere Babycakes Well said 144,000 WE CAN DO IT!!!! A forum or means to communicate/locate others in our areas who would be interested in such groups would be help a lot! Where I live, I struggle to find others who will even consider the possibility/potential of the Event, let alone those willing to form preparedness groups that I could trust to be working from the right place. If, however, we could communicate with others through a forum on this site, we can trust they have at least been seeking enough to find this site and discern it's Truth. We'll have to John, Heaven and everyone else is counting on us. Please take a minute to read this email. Yes, it is a mass email, but I am sending it to each of you bcc to respect your privacy. Feel free to forward it. I am feeling very strongly that we have a tremendous opportunity in the next few days, weeks, and months, to help create the peace in this world that we all yearn for deep in our hearts. First of all, James Twyman is asking for us to join in with 10 minutes of prayer while he gives concerts designed to bring peace to Syria and Egypt, Aug 15 and 18. He is in Jerusalem today. From the link below: "You’ll be alerted as soon as we know the day and time of each concert. You will be asked to stop whatever you are doing for a ten minute period and activate the prayer at that time. It’s that simple!" I met James 4 years ago, and found him to be a very sincere and loving human being. For these prayers & meditations, 144,000 people holding the same focus & intention at the same time would be extremely powerful. It also adds power to do the meditation in groups. The purpose of this website is to create local Event Support Groups, to assist in minimizing the confusion and chaos that could result during the first few weeks after the Event. For those of you who have heard nothing yet about the Event, in a nutshell it is the liberation of Earth from the criminal organization responsible for much of the violence and conflict here amongst humanity (no, it is not just "human nature"). 5. Ask that Goddess presence to direct energies of peace and harmony to all those unresolved situations and everyone involved in them. Allow that energy to flow through your heart and then through your hands into those situations for a few minutes. Thank you for your time. I will be happy to answer questions, by email or phone (phone may be quicker, I type very slowly).